We love a good celebration and we want to be at yours! Learn more about ZFC catering here. We tour all four quadrants of the city serving fried chicken to the masses. Find our street service schedule on the Street Food App. 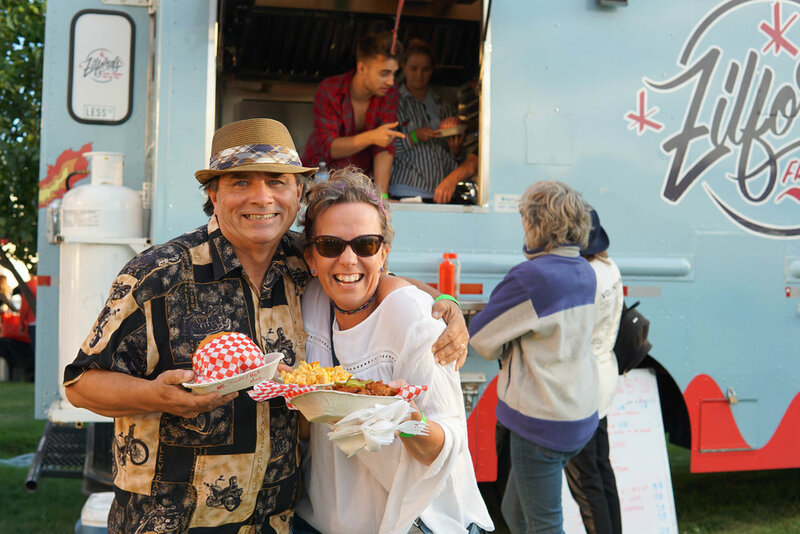 From food truck frenzies to music festivals we strive to keep the party goers of Calgary well fed. Let us know which festivals you'd like to see us at next. Weddings, work meetings, shindigs, hootenannies... All of these can be made better with some fried chicken! At Zilford's we love to cater and become a part of the experience. Order off of our traditional menu or submit a custom request. ZFC can accommodate most dietary restrictions. We sure as heck hate to miss a good party! Thank you! Looking forward to crashing your party! Zilford's was born in an effort to unite Calgarians with the delicious flavours and textures of Nashville hot chicken (a southern staple; fried chicken covered in a fiery coating, served atop white bread with crunchy pickles). We believe the beautiful dichotomy of tasty chicken and the searing heat that accompanies it is too great not to share with our city. After a year of recipe testing in our 500 square foot apartment and subjecting our friends to many a trial and error, we locked down the ZFC recipe, bought a truck, named it Jazzabel, wrapped her up and set out across YYC in 2017 to share our flavours with the streets. At Zilford's quality is paramount; We brine our chicken for a minimum of 12 hours to ensure juicy meat covered in a crunchy crust. We hope you share the same enthusiasm as us about hot chicken and dare you to try to keep up with the heat we'll be bringing in 2018. We're a mobile food truck that's always on the move. You can find us all over Calgary from spring through fall. We keep our whereabouts updated on the Calgary Street Food App. Follow us on our journey around Calgary.